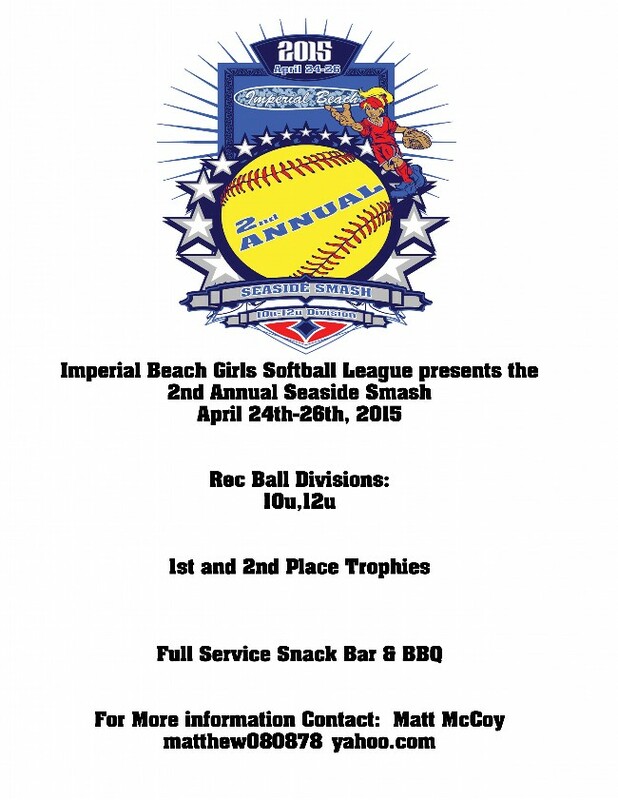 The Imperial Beach Girls Softball 2nd Annual Seaside Smash Tournament Kicks off tonight at 6:30pm and 8pm at IB Sports Park. Saturdays Games start at (am with the last game at 7:30pm. On Sunday the IB Girls Softball Closing Ceremonies Sunday at 10am at Sports Park. Then the Final Four games start at 1pm with the Championship game at 3pm. Hope you make it down to the park and see some great ball being played by the girls and honor them at their Closing Ceremonies on Sunday!